We create the most diverse & adventurous road trip experiences to offbeat places with all possible comforts and luxuries. Get in touch with us at [email protected] or Call us at +91 98115 35236 to speak to our Destination Experts. Shall I get Inked? Will this tattoo look good? Will it stay forever? Won’t I get bored of it seeing every day? Not only these, but many other questions poured up when I had to get myself tattooed. Is that true with you too? The only thing clear to me was that I wanted a travel tattoo. The travel tattoo which could depict my lust and hunger to see the world; the soul which want to be free but equally connected to nature. So it could not be- compass, suitcase, map, globe, the trajectory with a paper plane or passport stamps. But then what it should be? After scrolling on hundred images, I stopped at a gift of nature – Butterfly. Yes, this is what I want but not a regular dark one, something different in a gradient look! And this is how it looks. According to me, a tattoo is not just an artwork. It is a souvenir which one wants to embed on his or her skin as a special remembrance forever. Tattoos are drawn superficially but they carry a very deep meaning inside. They tell a lot about the self-expression and personality of a wearer. Travel Tattoo is just one type of all the tattoos. They are mostly adorned by travel lovers. These tattoos depict the desire of one to travel the world, to follow the dreams and some even represent the unforgettable memories of the place or trip. 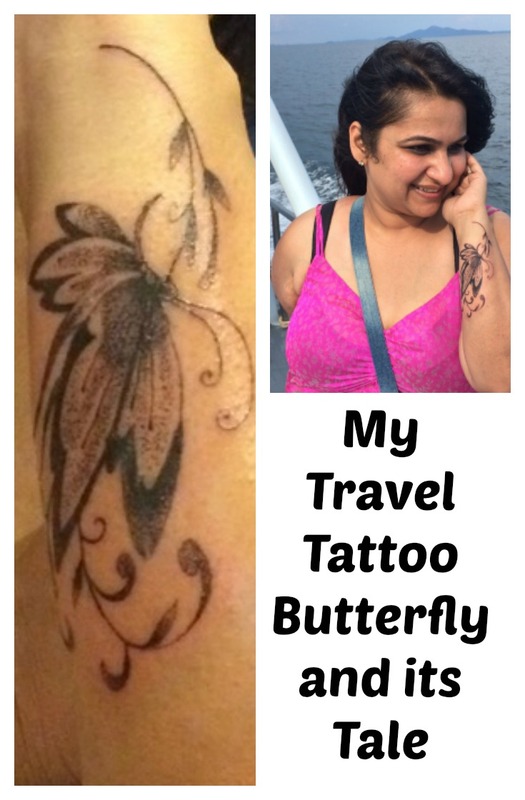 My travel tattoo might be a simple butterfly to an eye; but to me, it means much more. 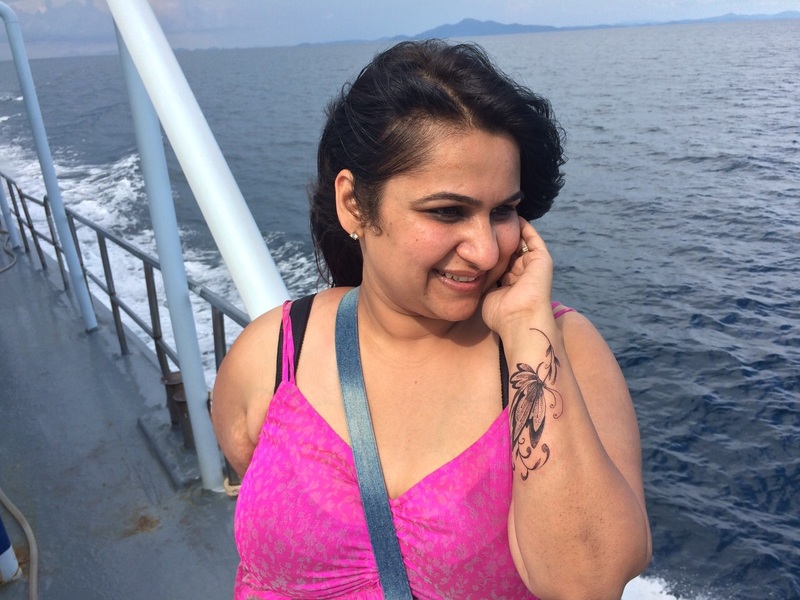 It depicts me as being feminist, my nature as well as it pushes me to follow my travel dreams. A woman who is graceful, delicate and gentle like a butterfly but is independent too. As the soul who has the freedom to spread her own wings with the wind. I say, getting a tattoo done is purely one’s own decision. Never listen to others for it. Go for the one which you like and which you feel meets your personality. For me, the tattoos are great memorials and self-characters. This one is my unique travel tattoo and its tale. What is yours? I would love to see and hear about yours. Do share and pin it if you like it. I don’t have any tattoos, but have often thought about getting one. Totally agree that it is a visual representation of the person who is wearing it, so it’s great you have one that, among other things, exemplifies your passion for travel 🙂 Me, I would need to think long and hard about what to get – but would want it to be something that reflects this passion also! Thanks, Joe. Agree it is a challenging thought process and it represents you and your passion. Thank u so much. Please share your tattoos picture and thought behind it once you are done with it. Will love to see it. It looks like a well done tattoo to remind you of your travels. The placement of the tattoo is pretty nice. I think you will love this for years to come. Yes, I am loving it and the best is I won’t get bored of it as I can’t see it everyday. Such a unique idea beyond the typical travel tattoos of map and compass’ Love the symbolism behind it! Thanks, Shane. So, good to know that you liked my tattoo as well as the symbolism behind it. I love that you included this on your represents list “Who can accept the changes and is ready to undergo transformations of any kind.” We all need to be more aware of this and how that sentiment is such a positive force in your life. Beautiful tattoo. Thank u so much, Lara. Yes, I believe change is the another name of life and as soon as we accept it we will be happier and ready to go. The tattoos are beautiful. They represent so many ideas. I loved the one with the quotes. 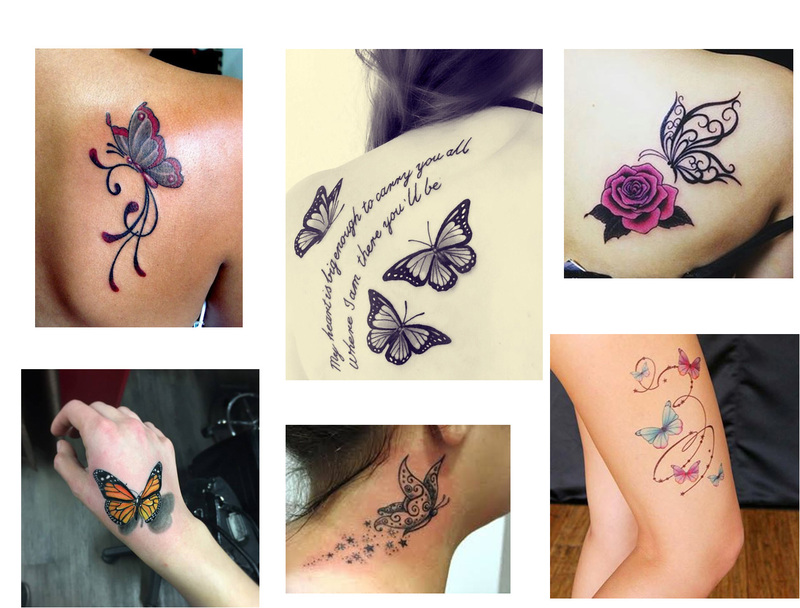 The butterfly is indeed a great symbol of myriad qualities and you made the right decision in getting the tattoo with a butterfly. Thank you, Sandy. Butterflies definitely have unlimited qualities and are beautiful. I love running behind them thinking someday I will be able to catch at least one. I’ve always wanted to get a travel tattoo!! This one is gorgeous and even more so because of the story behind it. I think once I finally find one I like then I will get one for travel as well!! I am glad that you enjoyed the post. Share the pictures once you finalize one for yourself. We love tattoos and I have one for my zodiac and my hubby has got inked twice. I agree tattoo does represent a person’s personality. Your tattoo of the butterfly is gorgeous. The way you have linked to a travel blogger in you is interesting too. A wanderlust connected with nature emerged from a shell of comfort zone to explores new world around. Thanks for these wonderful thoughts. I am so glad that eminent travelers like you enjoyed and could understand the real meaning behind it. Thank u so much Rashmi And Chalukya. Thanks Adam. Share once you have got it done for yourself. Thank u so much, Siddhartha for the inspiring words. I am just a budding traveler and hope to go a long long way. Thank u Neha. I wish this wanderlust always continues and this tattoo gives me a reminder to keep going. Interesting! Half resting butterfly. It so much represents the person who is restless. Thanks for the wishes. Joanna, honestly it was not that painful. Interesting, I never thought piercing is a souvenir too. Where did you get yourself pierced and how much painful it was? I love how you find the meaning of your travel tattoo. I have always wanted one but I am just too scared to get one. Butterfly does speak of independence and from one independent woman to another, I love it. Thank Soumya. Glad you liked it and understood the real story of having this on traveler. I have two tattoos- one inspired by travel and one not. I have another one in mind, but it’s a bit more expensive. Your butterfly is pretty though. How long did it take? Thanks, Brianna. I would love to see yours too. I got this done in Thailand and he took almost 3 hrs. What a wonderful tattoo! I just got one the other day in Korean, signifying the effect the country has had on my life in such a short time. Tattoos are so meaningful to the person who wears them, and i’m glad you got something that means so much to you! It’s beautiful as well :). Thank you so much, Kristina. Which tattoo you opted for yourself in Korea? Nice story. 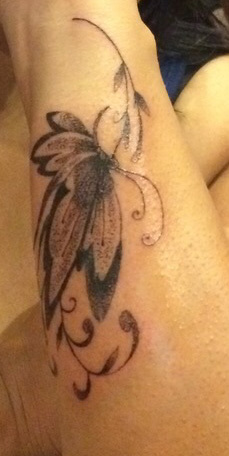 Butterfly does represent the spirit of travel pretty well, I think it represents someone who is constantly travelling. I have never tried it though. Find those needles somewhat scary. Needles are scary but if you really want it then you will take that chance yourself. Nobody can motivate or demotivate you on that. Wow! I loved the idea of your tattoo. Interesting. Even my family never wanted me to get it done except my hubby. So, I got it done while I was traveling with him and now all of them have started liking it. A beautiful tattoo indeed . I dont have any and dont intend getting any. Not brave enough for one I guess. 🙂 But I always admire it on others. Agreed that butterflies are just amazing as tattoos. Thanks Ami. Glad you liked it. Looks very pretty and I love the symbolism behind it 🙂 I was thinking about getting a travel tattoo too.. but I wouldn’t be able to decide what and where.. such a tough decision! One day a pretty thing will strike you itself and you will wish to keep it forever with you. That will be the cool way to decide for it. I got my first tattoo late in life (meaning late 20s) so I think I was already at an age when I know exactly what I want and that I was not just being rebellious or curious. So I didn’t really have the thoughts that you had. But it’s good that you put so much thought on the meaning of your tattoo, I think it’s quite important that people really find a design that has some relevance to their lives because tattoos are commitment and you really have to be sure before you get it. Your butterfly tattoo looks pretty. AllGudThings, a Travel, and Lifestyle blog is the brainchild of a couple travellers (Suruchi & Tashi), who are opposite to each other - in every way but aspire to see the whole world together in one small life. We see every day as a new challenge and fight with the courage to win it.